Do you have a positive and enthusiastic personality? Do you enjoy talking with people from around the world? 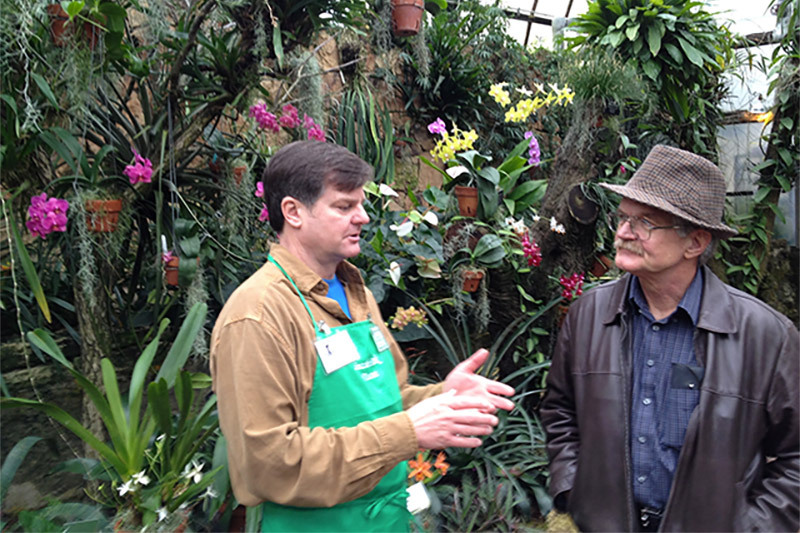 Would you also like to share your passion for the Lincoln Park Conservatory? The Lincoln Park Conservancy is seeking volunteers to become Greeters at the Lincoln Park Conservatory and Gardens. As a greeter/concierge you will warmly welcome visitors to the Conservatory, providing the first impression as local visitors and tourists from around the world enter the Conservatory. The Conservatory Greeter assists with questions, directions, and helps to connect guests with services as needed. He or she will collect information about where visitors come from and encourage them to make a contribution to support the conservatory if they are so inclined. Greeters sign up for shifts on Saturdays or Sundays. After training, we offer continuing education, field trips, and social activities. Our Fall greeter training for the Lincoln Park Conservatory & Gardens begins October 6, 2018. Registration deadline is September 28, 2018.